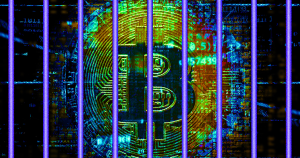 A leader of one of the biggest cryptocurrency scams in history is now behind bars. On Wednesday, United States authorities arrested Konstantin Ignatov for his role as leader of OneCoin, a cryptocurrency the U.S. Department of Justice is calling a “multibillion-dollar pyramid scheme” — another sign that the days of crypto as the web’s “Wild West” could be coming to a close. Ignatov’s sister Ruja Ignatova founded OneCoin in Bulgaria in 2014, and in less than two years, the company generated more than $2.5 billion in “profits,” according to a DOJ news release. Upon closer inspection, however, the cryptocurrency turned out to be nothing more than a scam — there was no OneCoin blockchain, and the company’s founders dictated the cryptocurrency’s value, not the market, as they claimed. As the reality of OneCoin began to reveal itself, a number of jurisdictions filed charges against Ignatova, with others warning investors about the company’s nefarious activity. She disappeared from public view in October 2017, according to the DOJ press release, with her brother taking over leadership of the company by mid-2018. Authorities arrested Ignatov at the Los Angeles International Airport on a wire fraud conspiracy charge. His sister remains at large, but she has now also been indicted on charges of wire fraud, securities fraud, and money laundering — meaning OneCoin’s days of scamming U.S. investors may be coming to an end.